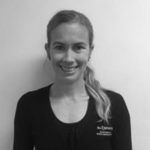 Melissa is an APA Musculoskeletal and Sports Physiotherapist and completed her Masters in Musculoskeletal and Sports Physiotherapy at Griffith University in 2014. Melissa completed her Bachelor of Physiotherapy in 2008, graduating with first class honours from the University of Queensland and, in 2009 she completed her Bachelor of Human Movement Studies (Exercise Physiology). Melissa joined the Allsports Physiotherapy team in 2009. She has done further training in Clinical Pilates through Dance Medicine Australia (DMA). She is a keen sprinter and also has a background in dance, with a special interest in running and dance-related injuries. Melissa currently works with high-performance sporting programs and uses physiotherapist-run exercise sessions as part of her treatment and rehabilitation programs.